YouTube - Greg West and his beautiful daughter presented their cage-building business, Cornel’s World, on the Dragon’s Den and scored a heck of a deal! Many congrats to Greg! Be sure to check them out on Facebook and Twitter and enjoy the video! Reptile Forums UK - When a member finds a deal on a thermostat, they ask if the stat is worth the money. Ball-Pythons.net - A member wonders if they found a truly good deal on an incubator and thermostat on ebay. 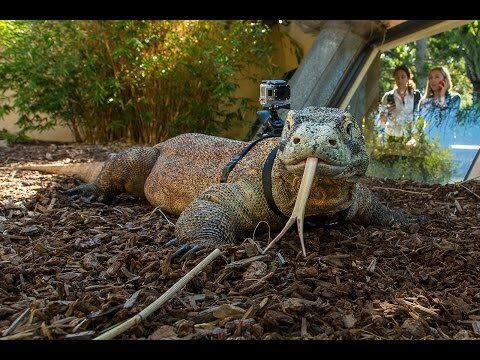 YouTube - Enjoy this very cool video of a Komodo dragon at the San Diego Zoo with a small video camera on its back. Ball-Pythons.net - Members discuss the “papers” that sometimes come with a reptile purchase, in particular, ball pythons. Are they regulated in any way? Do they mean anything at all?